SAVE on Yeti Tundra and Roadie coolers AND in-stock Muck Boots on Small Business Saturday, November 26th, at J&N Feed and Seed. *While we can’t publish the price of the Yeti Coolers, we can guarantee substantial savings. Give us a call at (940) 549-4631, for pricing. We’re OPEN on Small Business Saturday from 7:00 am until 1:00 pm, so shop early for best selection. 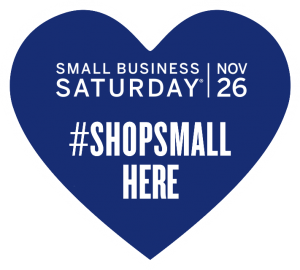 Join us for Small Business Saturday, on November 26. Follow us on Facebook to keep up with our specials and new products. This season, we are thankful for our wonderful customers. Thank you for making J&N your shopping destinations for feed, pet supplies, animal health and hunting products, and much more. We are proud to serve the community of Graham and surrounding areas. This entry was posted on Monday, November 21st, 2016 at 10:27 am	and is filed under Events, News & Updates. You can follow any responses to this entry through the RSS 2.0 feed. Both comments and pings are currently closed.